• Online auctions, bids and purchases buy now or through a shopping cart in one application . Search, buy and pay for items from your phone or tablet. You can pay by bank transfer online or by using an online payment card. • Simple and secure payment - transfer, card (not only credit), BLIK, installments, Android Pay. • Notifications - about events on the site: winnings, lost auctions, offer breakthrough and others. • Access to the Allegro Opportunity - on the main screen. • Search - browsing search results in the form of ordinary listing or gallery mode. • Filtering, sorting and narrowing to the category of search results you choose. • Issuing comments as a buyer. • Sharing - sending offers to friends on Facebook, Twitter and the option of sending the offer by SMS. • Bills - checking the balance. In this version, we've accelerated the loading of offers and filters. Besides, as usual, a few minor corrections here and there. In this version, we changed the search screen. It's now easier to find sellers or search and select items from the sellers from the cart. A few minor corrections here and there. In this version a few important changes. We've improved the address book and Google Pay payments. On the list of offers, we mark the ones visited. We have also corrected the error that caused certain offers to open in the browser. In this issue we have corrected the error related to the inability to return to the application in which we clicked the Allegro link. In addition, on the offer screen you will find information about personal collection points. In the latest version, you can add photos to product reviews. From now on you can also start a discussion in the application and use the help (tab My Allegro - account). We change the structure of the category: look in the section "Announcements and services" - for a few days there you will find automotive advertisements, including cars and motorcycles. Thank you for using Allegro! We can remind you about it! Buy such products on Allegro and we will send you a notification when the stock replenishment time comes. See also the Planned Purchases section in Moje Allegro. You can quickly buy your everyday items there. 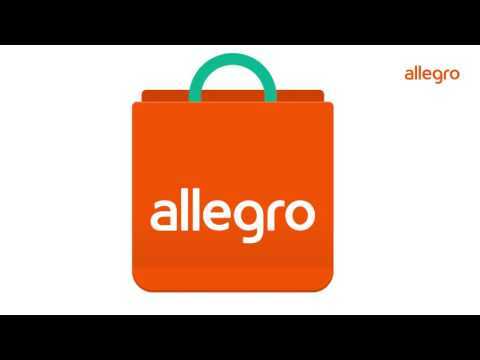 Thank you for buying on Allegro! When buying products in selected categories, check the "Remind me about buying" option and specify the frequency of notifications. You decide to buy. We will let you know when the time will come. - Full information on the status of payments on new post-purchase screens. - Observed offers and searches on a common screen. - New delivery points: Żabka and Freshmarket. - We correct the error with the lack of comments content for the "I do not recommend" tab in the seller's information. - Improvements and improvements. - we introduce sorting after the addition time, - we handle purchases with the verification of the buyer, - by default, we choose the delivery method for offers in the basket - if there is one, - corrections of reported errors. - quick re-purchases from the level of the Purchased in My Allegro, - access to offers similar to the one you are watching, - corrections of reported errors. We are pleased to present to you a new version of the application, which includes: - for your convenience, we indicate Paczkomaty, which can be overfilled, - bug fixes. We are pleased to present to you a new version of the application, which includes: - improved loading of the offer page, - collapsed parameters on the offer page, - bug fixes. We are pleased to present to you a new version of the application, which includes: - designation of offers with variants in search results, - tracking the status of the shipment from the details of the Purchased, - improved photo loading. We are pleased to present to you a new version of the application, which includes: - variants on the offer page, - memorizing the selected sort in the observed offers, - 'buy again' from the Buyers list, - number and tracking of the shipment from the details of the Purchased. We are pleased to present to you a new version of the application, which includes: - rebuilt screen of observed offers, - faster adding to the list of offers observed, - BLIK and Android Pay available in the Buy It Now process, - corrections of reported errors. Dear Allegro users, We are pleased to present to you a new version of the application, which includes: - Changed appearance of application elements (typography, links, buttons, etc.) - Bug fixes (including switching to listing offer for Android 7.0) Thank you for your comments. We're working on making the app even better and meeting your expectations. More apps from Allegro.pl sp. z o.o.